The Tax Cuts and Jobs Act (the TCJA), enacted in December 2017, made numerous changes to the tax law applicable to individuals. Here are some of the most significant changes. The tax rate brackets will be indexed for inflation through the year 2025, when the new rates will sunset and revert to 2017. Lower top rates, however, will not necessarily mean a lower tax bill for all individuals. Depending on a taxpayer’s individual circumstances, other changes made by the tax law – such as the elimination of certain deductions and/or tax credits – may lead to higher tax bills in 2018 and beyond. The limitation on excess business losses. NOLs occurring in tax years beginning after 2017 will only be eligible to reduce 80% of the taxpayers’ taxable income in a particular year. Additionally, with the exception of farm losses and insurance companies, NOLs incurred after 2017 will not be eligible for carryback but can be carried forward indefinitely. Pre-2018 NOLs are not limited by the new 80% limitation. [We will expand on NOLs in a future Client Alert]. For years 2018 through 2025, a non-corporate taxpayer’s “excess business losses” will be disallowed. An excess business loss for a particular year is the excess, if any, of (i) an individual’s aggregate deductions attributable to the taxpayer’s trades or businesses for the year over (ii) the sum (A) of the taxpayer’s aggregate gross income or gain for the year attributable to such trade or businesses plus (B) $250,000 (or $500,000 for joint filers). The disallowed losses will be included as net operating losses for subsequent years and, under the new law, can be carried forward indefinitely but will be subject to the TCJA’s new 80% limitation. The rules for excess business losses will be applied at the partner and shareholder level for partnerships and S Corporations, after taking into account basis, at risk, and passive activity rules. As indicated above each individual will aggregate their total income and deductions from all trade and business activities when figuring their excess business loss for a particular year. There are still some open issues related to the losses, one of which is if wages are to be included as business income for this calculation. Also it is not clear if on a joint return spouses can combine their business income and deductions. Example: Consider a single individual with aggregate business income of $2,000,000 and aggregate business deductions of $2,500,000 plus $1,000,000 of net investment income in 2018. This individual would only be able to offset $250,000 of net investment income and would have a NOL of $250,000 for the excess business loss which would be carried over to 2019. Thus the additional deduction of $250,000 is, in essence, deferred for at least one year as opposed to immediately deducted under prior law. While the TCJA did not change long-term capital gain or qualified dividend tax rates – and retained the 3.8% tax on net investment income – it made several changes potentially influencing an individual’s investment strategy. Beginning in 2018, qualified expenses from a 529 Plan include up to $10K/year tuition for elementary and secondary schools.2 Individuals may now consider contributing money to a 529 Plan to fund a portion of their children’s kindergarten through grade 12 tuition. This can be especially beneficial for taxpayers who contribute to their resident state’s 529 Plans to the extent that state allows an income tax deduction for some or all of the contribution. Example: A married individual living in New York contributing $10K to a New York sponsored 529 Plan will receive a $10K deduction for NYS income tax purposes. Planning with 529 plans should consider, however, potential estate and gift tax consequences as well as income taxes. Contributions to a 529 Plan may not be a good idea, for example, for taxpayers with estates greater than the federal estate exemption amount who are looking to reduce their taxable estate by passing assets to their kids. The reason is if they were to contribute $15K to a 529 Plan for their child, it would be considered a gift and as such, would use the full $15K (absent gift splitting) annual exclusion available each year for gifts to an individual. Example: If a short time after contributing 15K to the 529 Plan, a distribution of $10K is made to pay a portion of the private school tuition and the remaining $5K is paid personally, $20K (15K contributed to the 529 Plan plus the 5K contributed to the school) is removed from the taxable estate. Alternatively, if a 529 Plan is not used and the $15K tuition is paid directly to the school, the payment would not be considered a gift for gift tax purposes. Therefore, if the $15K tuition is paid directly to the school without using a 529 Plan during a particular year, the taxpayer could also gift to their child $15K, which is equal to the annual exclusion amount. By doing this, the taxpayer will remove $30K from their estate as opposed to just $20K when using a 529 Plan. Taxpayers should also consider the impact of the tax law changes when making their investment decisions. For example, when considering retirement vehicles, it should be noted that the TCJA has eliminated an individual’s ability to re-characterize a Roth IRA back to a regular IRA following a conversion to a Roth IRA. Also, a taxpayer’s decision to invest fixed income assets in corporate bonds versus municipal bonds may be different given the law’s change in marginal tax rates. If a taxpayer’s marginal rate has increased under the TCJA, municipal bonds now may be preferred. Additionally, taxpayers should consider harvesting capital losses to offset any taxable capital gains they may recognize during a particular tax year. This could be crucial for taxpayers with higher marginal tax rates under the TCJA that realized short-term capital gains during the year. Given the TCJA’s changes to various deductions, including the state and local tax deduction, taxpayers subject to the alternative minimum tax (AMT) – and taxable at a rate of 28% in prior years – may now be outside the AMT and subject to a 37% marginal rate. Now that their marginal rate is higher than prior years, each additional dollar of short-term capital gain will cost them more tax dollars. Knowing that rates may be higher makes capital gain/loss planning more critical. Mortgage Interest: Under the TCJA, an individual can deduct interest paid on mortgage debt used to buy or improve their primary and secondary homes on debt of up to $750,000 for all new purchases after December 17, 2017. The TCJA grandfathered mortgages prior to December 17, 2017 at the $1,000,000 limit and suspended – through 2025 – the deduction for home equity indebtedness except to the extent the borrower uses the home equity loan or line of credit proceeds to improve their property. Bear in mind that the total of the eligible home equity debt plus the mortgage interest will be subject to the overall mortgage limits set forth in the new law. Miscellaneous Itemized Deductions: The TCJA suspends all miscellaneous deductions subject to the 2% limitation through 2025. This includes numerous types of deductions, but most notably, deductions such as investment management expenses incurred in certain for-profit activities. Theft and Casualty Losses: The TCJA suspends personal theft and casualty losses other than those attributable to a presidential declared disaster through 2025. Charitable Contributions: The Adjusted Gross Income limit for cash contributions to certain public charities has been increased from 50% to 60%. Medical and Dental Expenses: The floor for these deductions has been reduced in 2017 and 2018. The deduction for 2017 and 2018 is for expenses in excess of 7.5% of AGI. In addition to these changes, the TCJA suspended the overall limitation on itemized deductions (the Pease limitation) through 2025. With the increased standard deduction and the elimination of some of the common itemized deductions—such as the miscellaneous 2% itemized deductions and the $10K cap on state and local and property taxes–more taxpayers may be using the standard deduction rather than itemizing their deductions going forward. A married couple, for example, limited to $10K state and local taxes as an itemized deduction, that regularly contributes approximately $10K/year to charity loses the tax benefit for their charitable contributions because they are entitled to the standard deduction of $24K which is higher than the couple’s total itemized deductions ($20K). In this particular situation, taxpayers may consider bunching several years of charitable contributions into one year. For example, if the couple above made $30K (three years of charitable contributions) in year one their itemized deduction total would be $40,000 ($30K charitable deductions plus $10K state and local taxes), which exceeds the standard deduction by $16K. As such, they would have reduced their taxable income by $16K for their $30K charitable contributions (with a corresponding reduction in taxes based on their tax rate). Individuals bunching their deductions may want to consider contributing to a donor advised fund (DAF). Taxpayers can contribute to the DAF – and get an immediate charitable deduction – but can also direct the distributions of these funds from the DAF to the charities of their choice over a number of years. An additional option for individuals over age 70½ that have an individual retirement account (IRA) is to make a qualified contribution of their minimum IRA distribution to a public charity. Known as a qualified charitable distribution (QCD), this can be beneficial to individuals that would like to make charitable contributions, but would not be making large enough contributions to get a tax benefit given the higher standard deduction. 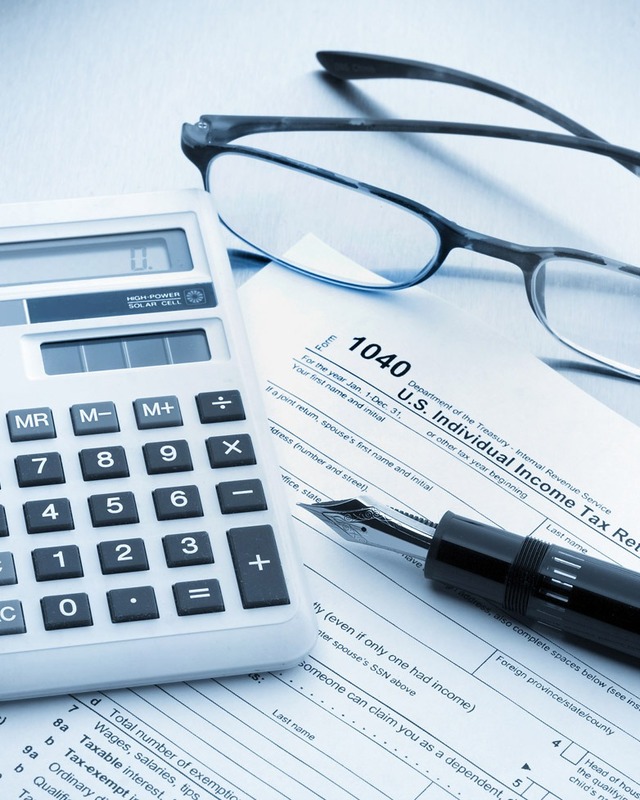 Up to $100K of QCDs are excluded from taxable income, thus providing an income tax benefit. Moving Expenses: This deduction has been eliminated through 2025 with the exception of military personal on active duty who are moved by military orders. Child Tax Credit: For tax years through 2025, the child tax credit has been increased from $1,000 to $2,000. In addition, the income levels for the phase-out of this credit have increased to $400,000 for married taxpayers filing jointly and $200,000 for others. Alimony: Alimony payments on separation and divorce agreements finalized after December 31, 2018 will no longer be deducible by the payor and as such, will not be recognized as income by the payee. Kiddie Tax: Under prior law, kids who were subject to the kiddie tax would pay tax on their net unearned income at their parents’ tax rates if they were higher than the child’s tax rate. The remainder of the kid’s income was taxed at the child’s rate. This included earned income and unearned income up to a certain amount. Under the TCJA, a child’s net unearned income is now taxed at the new rates applicable to trusts and estates and their other income is taxed under the single individual tax rates. Keep in mind that everyone’s individual tax situation will be different and what steps each taxpayer should take to save taxes will be based solely on that individual’s facts and circumstances. As such, it is important that each of you contact your tax professional to see what you can do to save income taxes under the new law. Questions? Contact Sanford Stolar at 212.331.7480 | sstolar@berdonllp.com or reach out to your Berdon tax advisor. 2 A 529 Plan, referring to IRC section 529, is generally a tax advantaged state or state agency-sponsored educational savings plan. 3 The TCJA increased the standard deduction to $24,000 for married individuals filing a joint return, $18,000 for head of household filers, and $12,000 for all other taxpayers in 2018. This deduction will be adjusted for inflation in all years through 2025. 4 Taxpayers are limited to a deduction of $10,000 ($5,000 for married taxpayers filing separately) for state and local income taxes and property taxes combined. 5 The AMT exemption increased to $109,400 married filing jointly ($70,300 single), and the phase out threshold increased to $1M for joint returns ($500K for single).